In order to supervise and control CL, a surveillance program has been launched by the Brazilian Ministry of Health, with one of the objectives being the identification and monitoring of territorial units of epidemiological significance for control measures . In this respect, Geographic Information Systems (GIS) are a powerful tool to gather information regarding the epidemiology of infectious diseases. GIS can be used to identify priority areas and guide the implementation of surveillance programs and interventions for control. As such, spatial analysis has been widely used, and has allowed, for example, the identification and characterization of areas with high CL incidence and with elevated morbidity [7–11]. 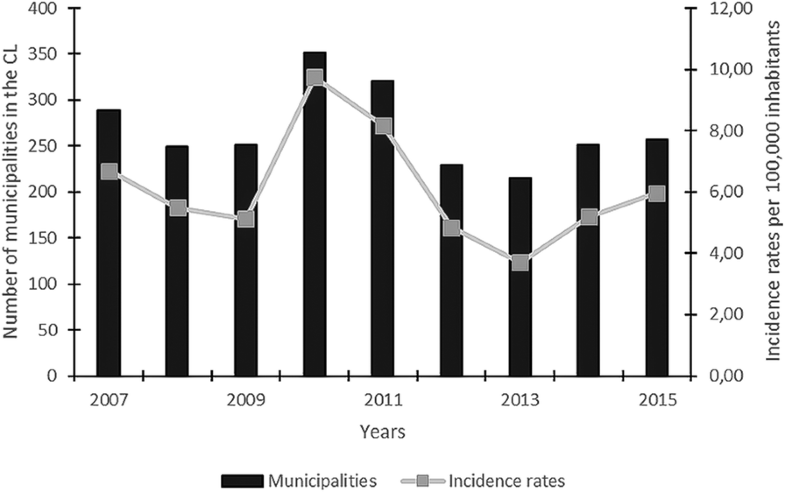 In Minas Gerais, previous studies drew attention, in particular to areas with high incidence rates, such as Jequitinhonha [6, 12, 13] or the North of Minas Gerais , in order to understand epidemiological aspects of CL in a restricted region of the state. The monitoring of municipalities classified as high priority for surveillance is important because these municipalities may influence their neighbors, and spreading of reservoir hosts or vectors for CL may take place, as reported, for example, for the state of Rio de Janeiro . One important factor for the increase of incidence rates and expansion of high priority areas for CL could be migration of reservoir hosts to the close vicinity of housing, as was already reported for Minas Gerais and Rio de Janeiro [14, 36]. Importantly, one of those studies indicated that the expansion of CL between neighboring municipalities or even smaller geographical units occurred independently from deforestation or human migration . 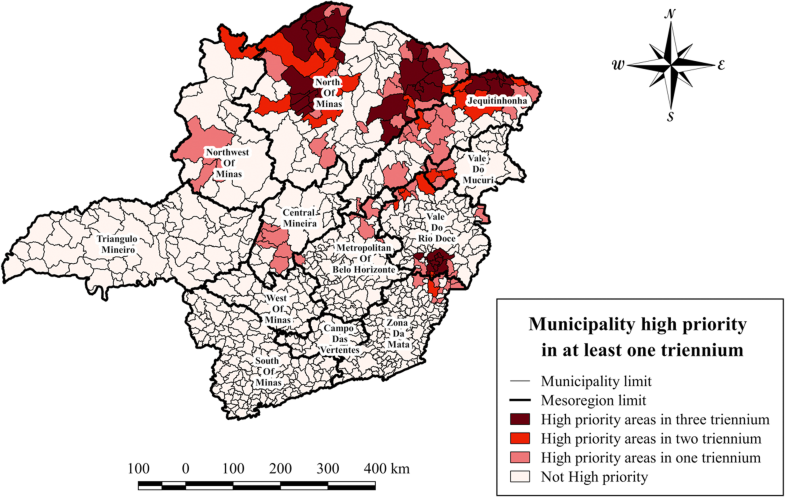 Even though that study used a different scale for the distribution of CL , we should not exclude that the latter hypothesis for the expansion of CL might also hold true for some municipalities in Minas Gerais. In this respect, small cosmopolitan rodents were shown to have a certain affinity for humans, and their food resources were of great importance for the maintenance of both the wild and the peri-domestic cycles of CL . Due to their mobility of these small rodents, process of disease spread may be related to them due to the circumstance the they move between regions and being thus able to transport it to nearby regions [34, 36–39]. Another important factor, which contributes to the increase in CL cases, is the presence of sandfly vectors. Several studies in different regions of the state have identified the presence of appropriate sandfly species [40–45]. 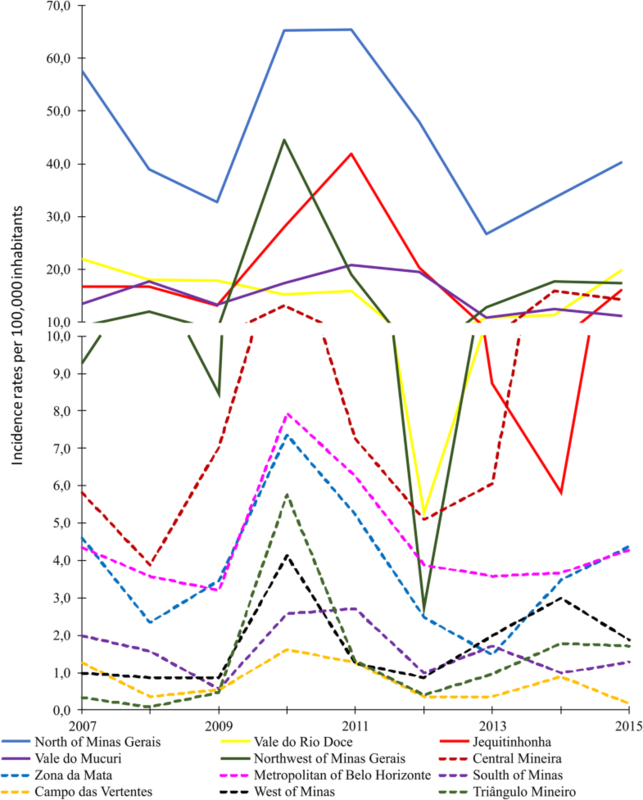 With the presence of the vector in several areas, the infectious cycle can easily be established and lead to increased human CL incidence rates. 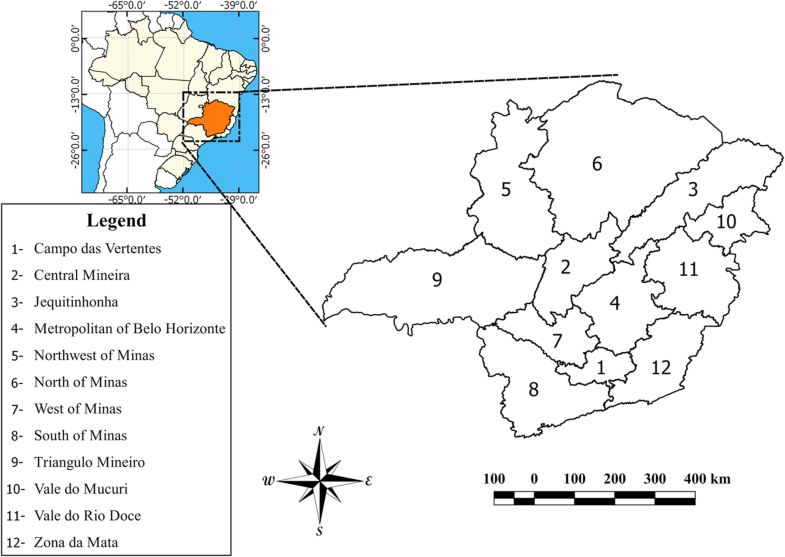 Also, the observed urbanization of sandflies is an important factor in the expansion of the disease, as was reported for Minas Gerais . However, in the present retrospective study, it was beyond our scope to include any further data on the presence of sandfly vectors, reservoir hosts, or other environmental factors for the different mesoregions of Minas Gerais investigated, or to check for their association with human incidence rates. The incidence rate had a tendency to decrease over the period of this study, and the prioritization of areas identified through these studies may have enhanced the tendency to decrease the incidence rate of CL.